Get in touch with nature at Seven Mile Beach and Franklin River Nature Trail. You'll discover tucked-away gems like Nature & Wildlife Tours and St John the Evangelist Roman Catholic Church. 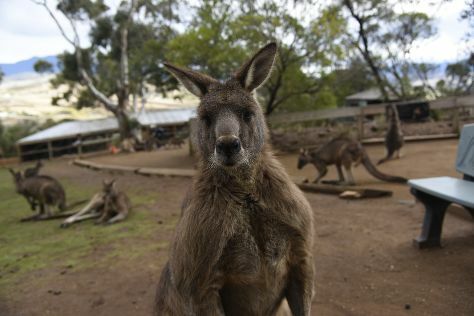 Change things up with a short trip to Bonorong Wildlife Sanctuary in Brighton (about 30 minutes away). There's more to do: take in the awesome beauty at Mount Wellington. To see photos, reviews, where to stay, and more tourist information, go to the Hobart trip itinerary builder website . Sydney to Hobart is an approximately 4.5-hour flight. You can also do a combination of train, ferry, and bus; or do a combination of bus and ferry. In July, Hobart is little chillier than Sydney - with highs of 15°C and lows of 4°C. Wrap up your sightseeing on the 22nd (Mon) early enough to drive to Coles Bay. 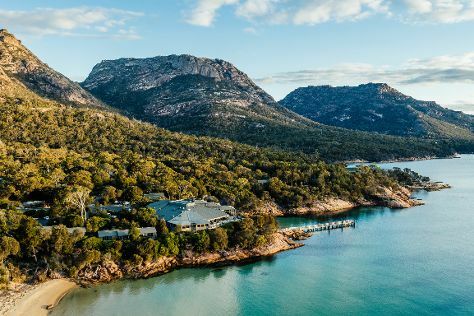 Explore hidden gems such as Freycinet National Park and Friendly Beaches. Relax by the water at Wineglass Bay and Honeymoon Bay. There's still lots to do: walk along Wineglass Bay Lookout and explore and take pictures at Coles Bay Jetty. For reviews, other places to visit, maps, and other tourist information, use the Coles Bay holiday maker . Traveling by car from Hobart to Coles Bay takes 2.5 hours. Alternatively, you can do a combination of bus and taxi. Finish your sightseeing early on the 25th (Thu) to allow enough time to travel to Mole Creek. Mole Creek is a town in the upper Mersey Valley, in the central north of Tasmania, Australia. Kick off your visit on the 26th (Fri): Head underground at Mole Creek Caves, then explore the fascinating underground world of Marakoopa Cave, and then take a peaceful walk through Westmorland Falls. To see reviews, where to stay, ratings, and tourist information, you can read our Mole Creek day trip planning website . Traveling by car from Coles Bay to Mole Creek takes 3 hours. July in Mole Creek sees daily highs of 13°C and lows of 2°C at night. Finish your sightseeing early on the 26th (Fri) to allow enough time to travel to Mount Field National Park. Kick off your visit on the 27th (Sat): identify plant and animal life at Tall Trees Walk, take in the dramatic scenery at Horseshoe Falls, and then take in the dramatic scenery at Russell Falls. To find photos, traveler tips, and tourist information, refer to the Mount Field National Park day trip planning website . Traveling by car from Mole Creek to Mount Field National Park takes 3 hours. In July in Mount Field National Park, expect temperatures between 15°C during the day and 4°C at night. Cap off your sightseeing on the 27th (Sat) early enough to travel back home.